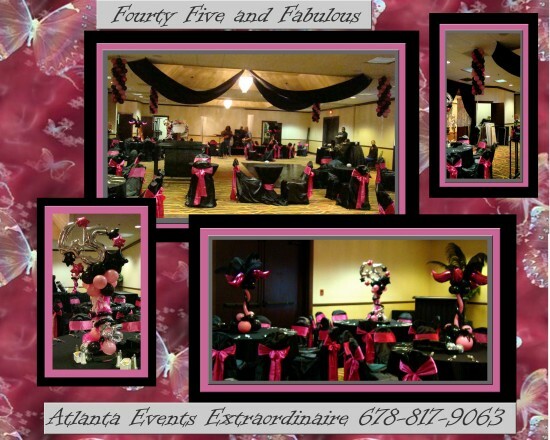 Atlanta Events Extraordinaire is a full service decorating company. 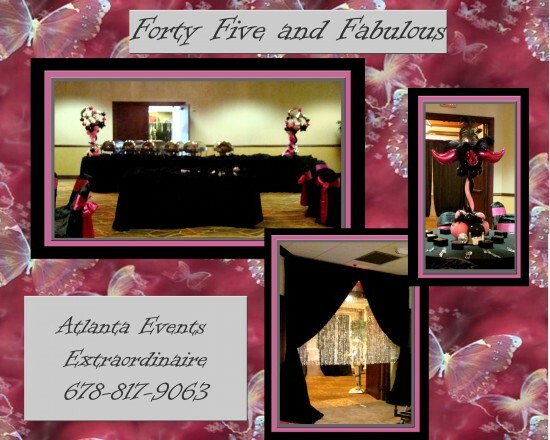 Atlanta Events Extraordinaire has been in business since 1996 and we service the intire Atlanta Georgia Metro Area. We specialize in Balloon Decor, Floral Design, Fabric Draping and Balloon Bouquet Deliveries for all occassions. 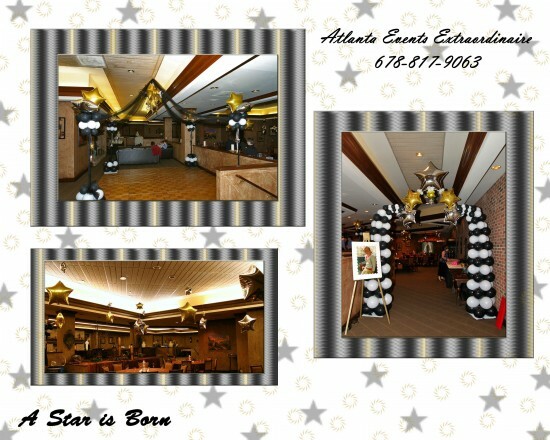 We can provide balloon columns, arches, sculptures, bulk balloons and much, much more. Please keep us in mind for any of your corporate and personal events. All consultations are FREE! Insurance: $200,000 - We have liability that covers any accidents that ma occur on the job. Prior to booking we will help you to make decisions and provide offering of what we can provide according to the decor needs for your event making the process as simple as possible. Once you have booked your event you can expect an easy worry free set up. We will communicate with you for the day of delivery. We will show up early with most of our decor just ready to put in place saving you time and money for small set up windows. Set up includes your satisfaction we will not leave until you are happy. Once you put your decor in our hands you can breathe easy. 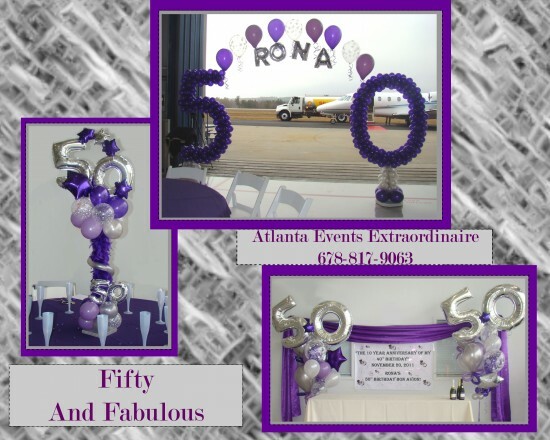 Atlanta Events Extraordinaire specializes in Balloon Decor, Floral Event Design, Backdrop and Ceiling Draping and we deliver Balloon Bouquets for every occasion. We have been in business since 1996 and pride ourselves in being solid. Many of our clients have used us for many years and one of the things they love the most is that they don't have to worry about us. We are always there on time and ready to go. Our decorators are certified and trained in their fields. 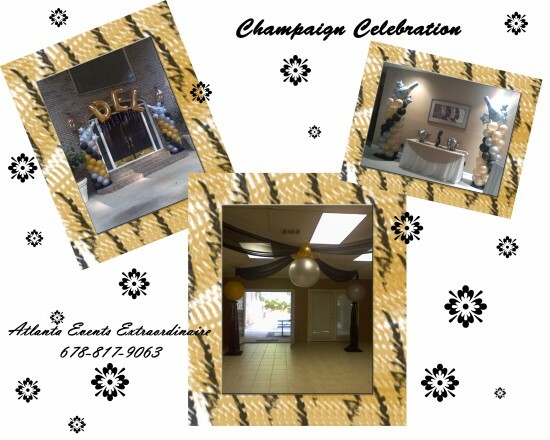 We provide decor for Corporate Events, Weddings, Adult and Children's Parties, Fundraisers, Baby Showers, Bar/Bat Mitzvahs, Sweet 16, Quinces, Proms and much more. Our products include Arches, Columns, Bulk Balloons, Balloon Sculptures, Balloon Drops, Centerpieces (Balloon and Non-Balloon), Signs, Ceiling Dcor, Backdrop Decor. We serve and deliver to the entire Atlanta Metro area and all consultations are FREE. Requirements for set up will vary depending on the type of decor needed. For example, a balloon drop installation will require knowledge of ceiling height and rigging points.